We live in a world dominated by landscape, landscape of our own making – the human variety, but more obviously, the landscape of the natural world. Landscape also dominates the visual arts, and has done so for millennia. How the landscape that surrounds us is interpreted by the artist depends on the perception of that artist, but also depends on the tools and working methods that that artist has at their disposal. Cas Holmes new book: Textile Landscape is an inspirational guide to the observation of the landscape, the practical application of that observation, and of the methods of creativity that can be brought together under the banner of ‘textiles’. 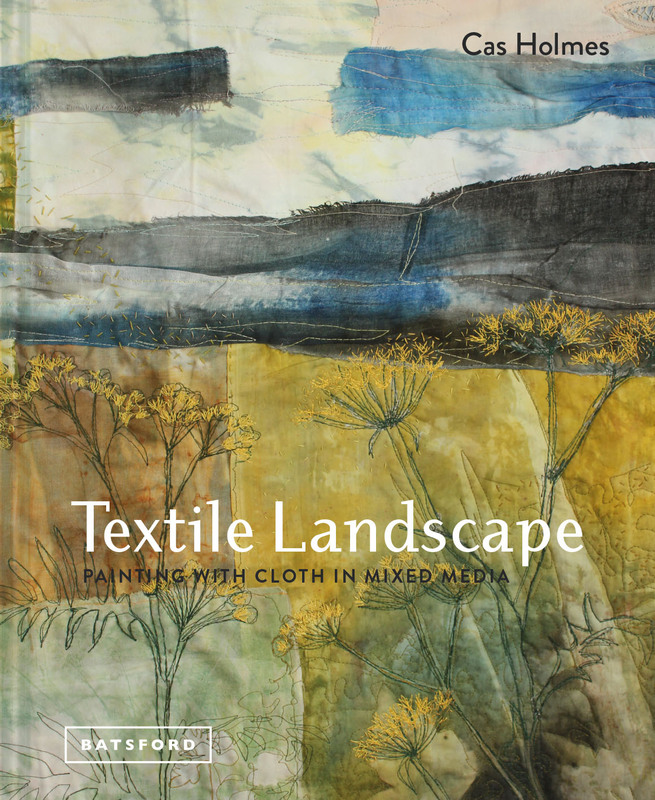 This is a book whereby landscape is interpreted by textile art – through stitch, mixed media, and paint. The book is comprehensive without being dictatorial. It is a guide to artists, students and teachers in how to truly and individually interpret the world around us. Drawing on the book as a source for self-discovery, self-creation, Cas encourages confidence in the art of observation, the art of practical making, the art of interpretation of your own unique view of the world. Cas covers a whole range of thoughts and ideas in her new book. From keeping a sketchbook, generating ideas, painting and dyeing cloth, how to observe a range of landscapes both large and small, how to interpret the details of those landscapes through paint, ink and stitch. How to make your interpretation as unique and singular as it should be. Cas has liberally filled Textile Landscape with interpretations of landscape through her own work, but also through a selection of contemporary textile artists from around the planet. Artists range from: Sue Hotchkis, Sue Stone, Richard McVetis, Ian Berry, to Grayson Perry, Joan Schulze, Sandra Meech and many more. Textile Landscape builds on and continues from Cas earlier book, also published by Batsford Stitch Stories (reviewed in Inspirational 6). This new book reinforces Cas passion for the natural landscape in all its forms, from urban scrubland to secret glades, from the wild untamed to studied farmland. Above all, Textile Landscape is about the utter uniqueness of perspective, what you see as an individual within the landscape. That is the beauty of Cas book, the projection of your vision, of your creative endeavor. Cas may show you examples of her vision and of the vision of other contemporary artists, but she is always aware that you the reader are the ultimate subject. It is your interpretation that ultimately counts, not hers, and not any number of contemporary artists around the planet. The textile interpretation of landscape through your hands and through your eyes is her ultimate goal, and with this book that goal should be well within your grasp. 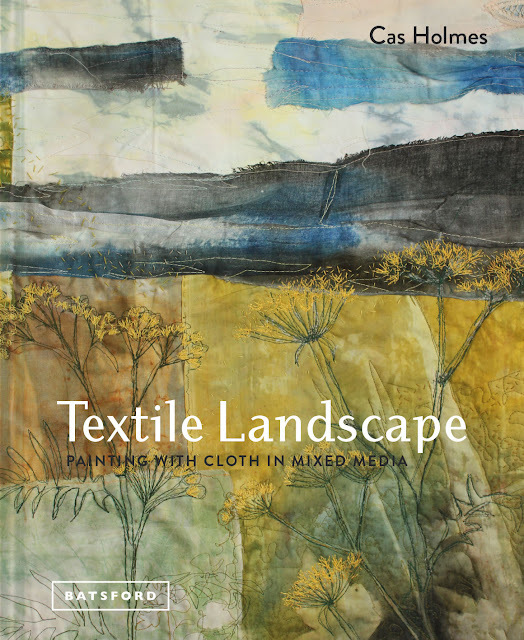 Textile Landscape: Painting with Cloth in Mixed Media by Cas Holmes, is published by Batsford.